Join us this Thursday for the Annual NET Benefit Banquet! Live from the St. Paul River Center. Please join Archbishop Hebda, NET team members and NET’s mission staff for our annual Catholic Youth Benefit Banquet. Please contact Anne Michalak at (651) 450-6833 Ext 126 for last minute reservations or questions. If you are unable to join us, please consider making a gift in support of NET Ministries’ outreach to Catholic young people. Give today. Please note that there is a Minnesota Wild hockey game that evening at the Xcel Energy Center. Due to this, parking rates are increased and availability will be limited. Therefore, we have arranged a shuttle service from the Union Depot from 5:30 – 7pm. Park in Parking Lots B and C. Pick up and drop off will be at the Drop Off lane for Union Depot on the south side of Kellogg Blvd across from Wacouta St in St Paul. Shuttles back to the parking lots will begin immediately after the end of the program till 9:45pm from the main entrance to the RiverCentre. Parking rate after 5pm at Union Depot is $4. Many of the ramps closest to the RiverCentre will employ Event Parking rates that evening, ranging from $15-25. 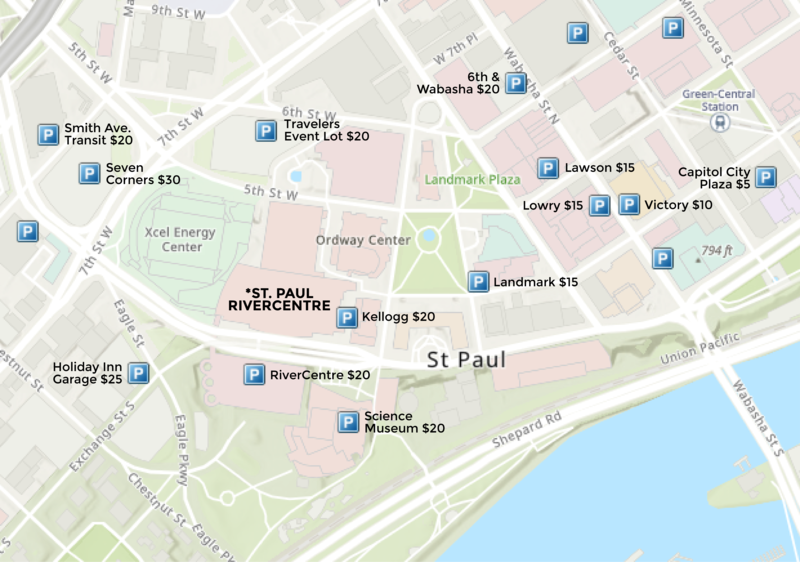 If you are able to walk and are comfortable with the skyway, ramps a little further afield offer more inexpensive parking options. For example, Capital City Plaza ramp at 50 4th Street East is $5.